Running from 9th June to 9th September, the Gallery has decided to kick off the festival with a focus on seminal Singaporean mixed-media artist Lee Wen, best known for works such as the Yellow Man series and concepts of ritual, games and alter egos. 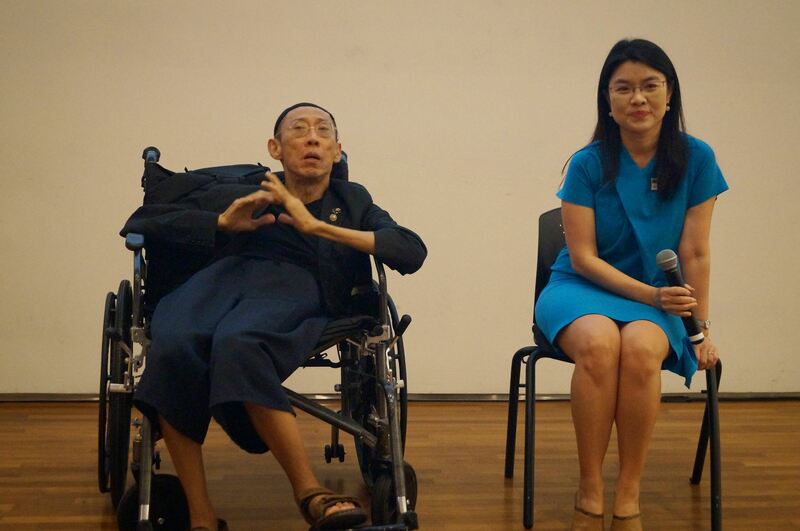 As one of the pioneers of performance art in Singapore, Lee Wen’s practice slowed down when he was diagnosed with Parkinsons’ disease, and now wheelchair bound and with limited mobility, no longer practices performance art in the same way he used to. 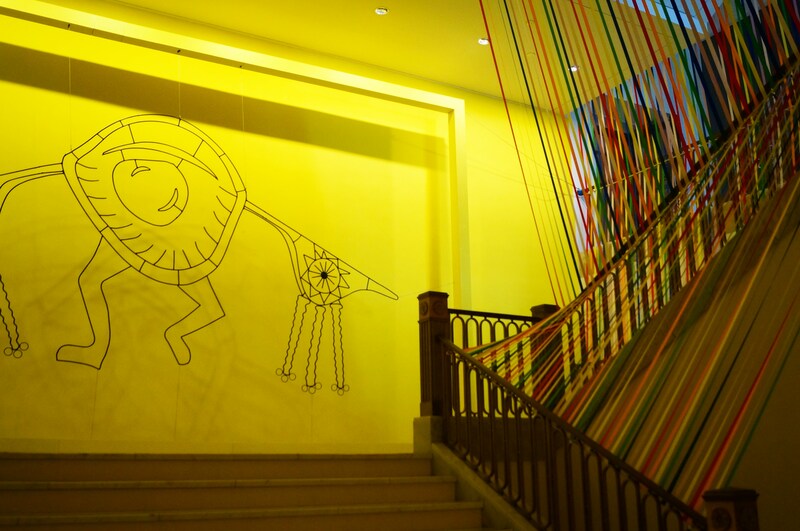 The exhibition itself, titled A Waking Dream: Sun-boy and Yellow Man, is based off Lee Wen’s book A Waking Dream and his seminal series Journey of a Yellow Man. 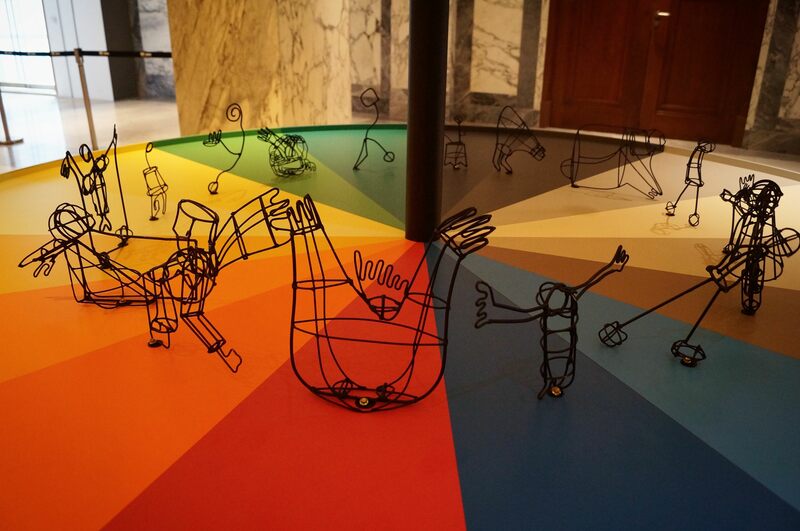 Comprising of five interactive installations, visitors will be taken on the Small Big Dreamer’s journey as they enter the rainbow world and meet Lee Wen’s alter egos – Sun-Boy and Yellow Man. 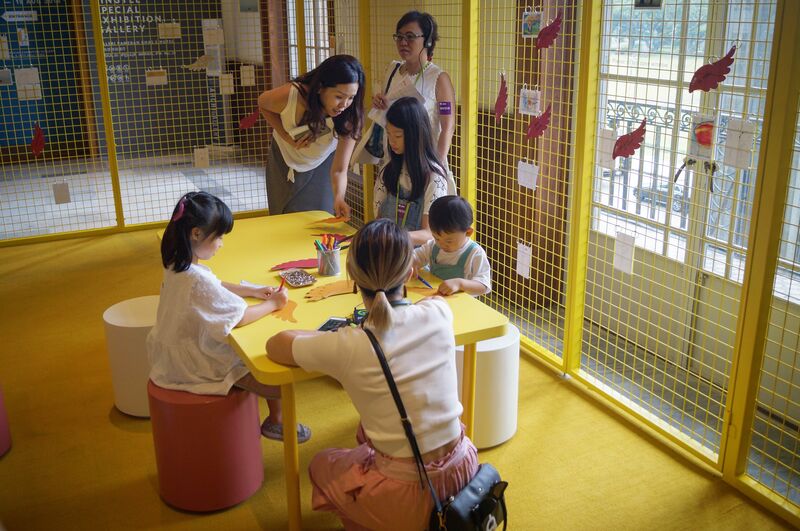 The Small Dreamers begin their journey in the Daydream Tunnel, where they’ll spin the ‘wheel of life’, meeting some of Lee Wen’s characters as they watch the wheel turn and listen to its sounds. 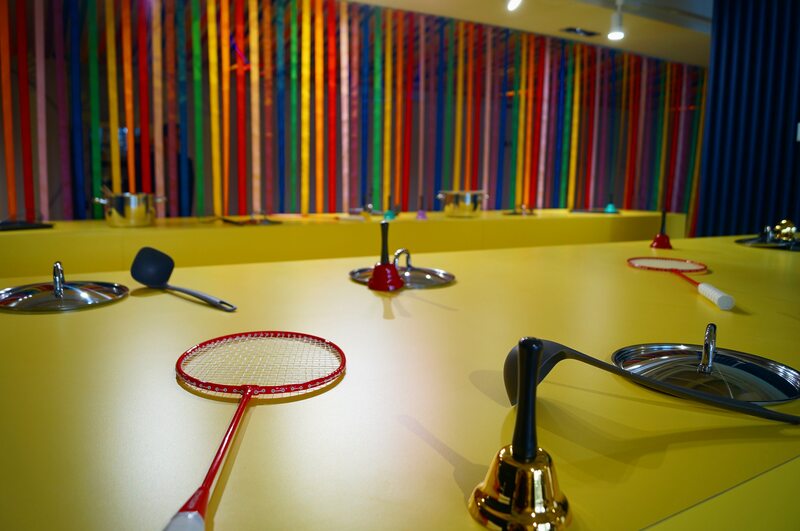 As they move through the gallery, they’ll encounter rooms such as the Rainbow Concert Hall, where children can create the musical soundtrack to their journey with unusual instruments such as pots, pans and even rackets. Later on, as they move up to the upper floors, they’ll find themselves in the yellow caged Dreamers’ Haven, where they can pen down their fears and literally cage them up, while they write down their dreams on a similar wing-shaped piece of paper, sticking them outside the cage and letting these dreams fly free. 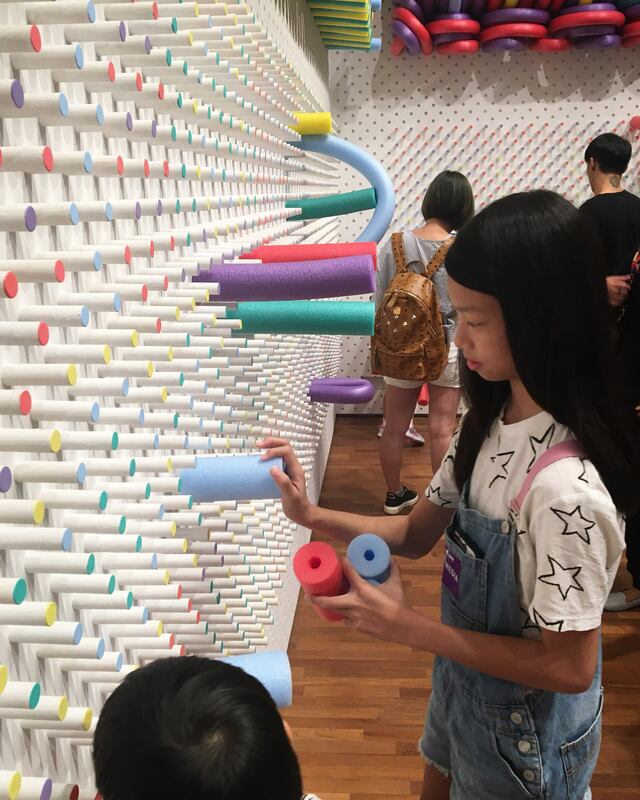 The exhibition is also accompanied by peripheral activities from other artists. 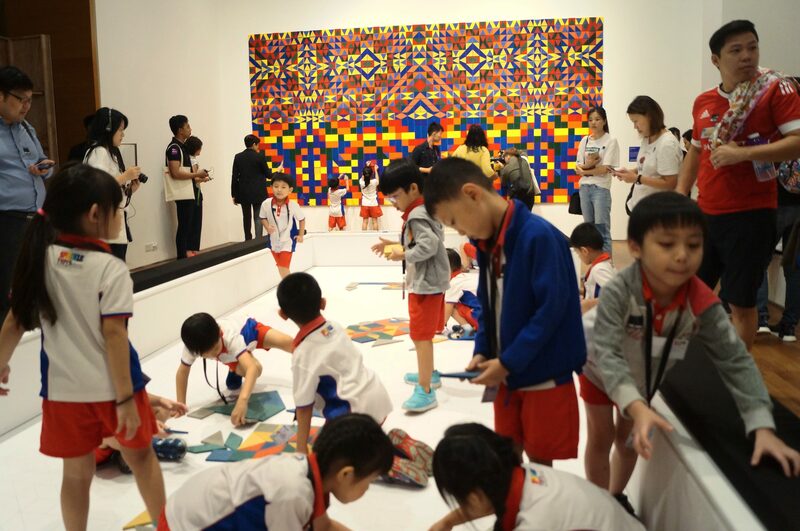 At the Koh Seow Chuan Concourse Gallery, the only limit is their imagination as they play with We Make Carpets’ Hands On, where they arrange everything from colourful pool noodles to velcro patches to form intricate mosaics along the walls. 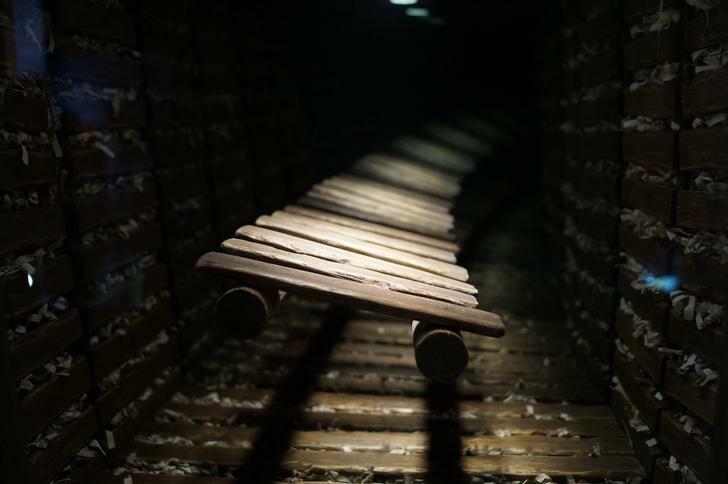 Other exhibitions include updates to Mark Justiani’s popular Firewalk: A Bridge of Embers, where the 10-metre long infinity bridge has been given additional peripheral peepholes where visitors can gaze into the eternal abyss of various worlds, from one with infinite abacuses to an infinite rickety bridge. The exhibition will continue to update over the years to come. Finally, visitors are also invited to take a look at teamLab’s Walk, Walk, Walk: Search, Deviate, Reunite at The Ngee Ann Kongsi Concourse Gallery. Here, visitors will encounter a parade of animals marching along the wall in a search for enlightenment, while they can also manipulate the speed and way in which flowers blossom and fade in interactive digital installation Flowers and People – Dark. Drawing inspiration from Lee Wen’s incredible positivity and can-do spirit, and the curious magic of the story of Sun-boy and Yellow Man, there is nothing but hope and the promise that dreams can come true as tiny visitors discover their identities as Small Big Dreamers, and learn the art and power of play at the National Gallery Singapore’s inaugural Children’s Festival.